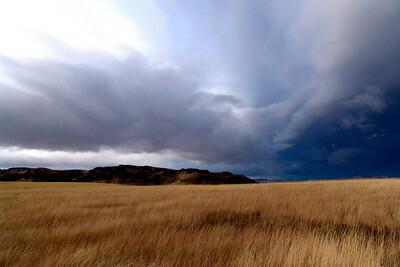 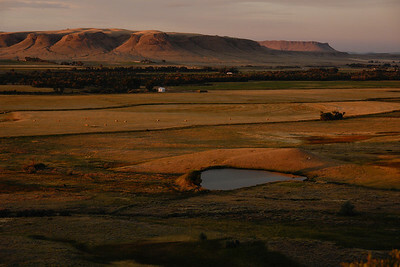 The Ox Bow Ranch in spring, near Wolf Creek. 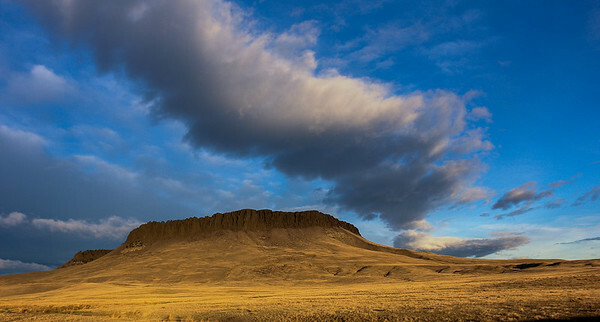 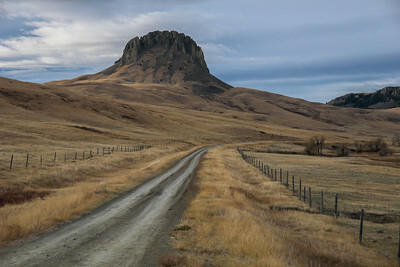 Square Butte, Cascade County, Montana. 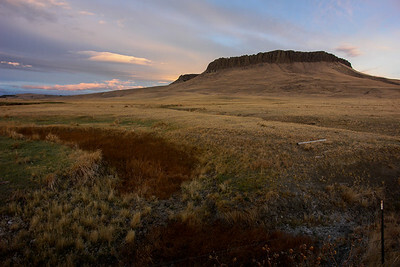 Shaw Butte is on the right. 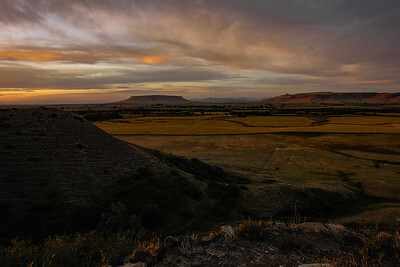 Square Butte, on the left, is prominently featured in many of Charles M. Russell's Oil paintings. 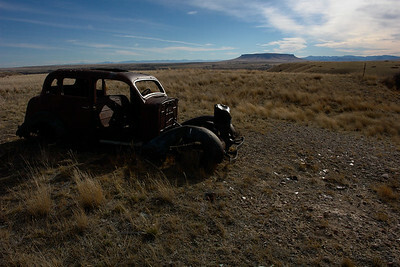 Bannack, Montana, first territorial captial. 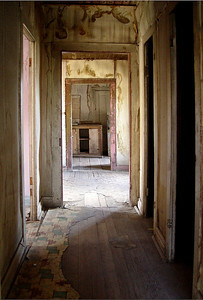 Looking into the kitchen of one of the houses along the only street, main street. 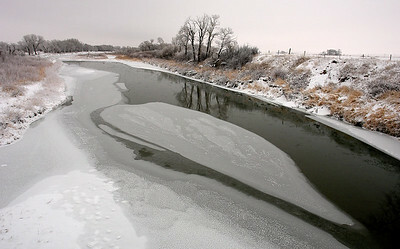 Ice on the Sun. 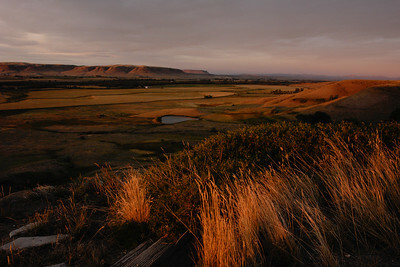 Early morning in late November, taken from the Fort Shaw bridge. 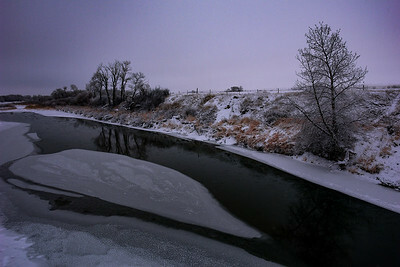 The temperature was about -10F. 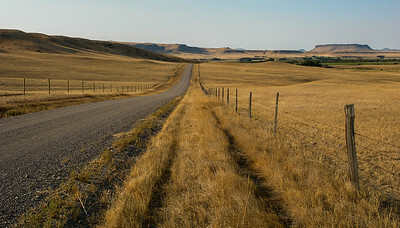 Bannack Montana, first territorial capital of Montana. 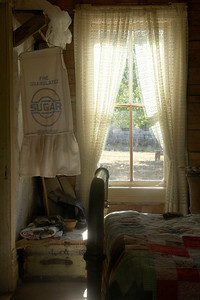 Bannack is now being preserved by the State of Montana, and this photo was taken through a window into an bedroom of one of the least decomposed structures.